When you install an app or a game on your iPhone or iPad, you get an error named “Untrusted Enterprise Developer”. This is an error that says you cannot use the installed app on your iPhone. The reason is the security of your iPhone. We know that a lot of apps and games are not available on the App store. We have different methods to install such games and apps on iPhone. But the problem is an unknown source. 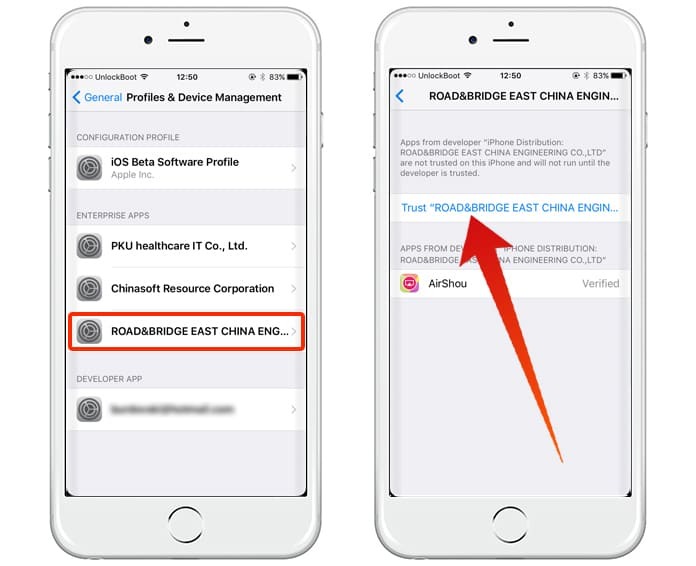 When we install an app from an unknown source, the Apple device doesn’t recognize it. iPhone only allows an app when it is installed from the App store. On the other hand, you will have to trust the device in order to use it on your iPhone. But don’t worry, we will show you how to fix untrusted enterprise developer error. Why This Error Message Comes? The reason behind this error message is the security of the device. Today, thousands of apps and games are available on the internet which can harm your device. Some of them carry malware, and malicious data and some are used to hack devices. The App store trusts all the devices which are installed from the App store. So you can easily install and use any app from App store. Now the problem is installing the app from an unknown source. All the anonymous apps are not safe and secure. That’s why Apple has blocked all the apps and games that are installed from the unknown source. However, if you have installed an app from an unknown source and you are getting this error message, don’t worry about it. You can easily trust an app in order to use it without any problem. Keep in mind that if an app is installed from an unknown source and you have trusted it, Apple will not take the responsibility if it causes some problems. 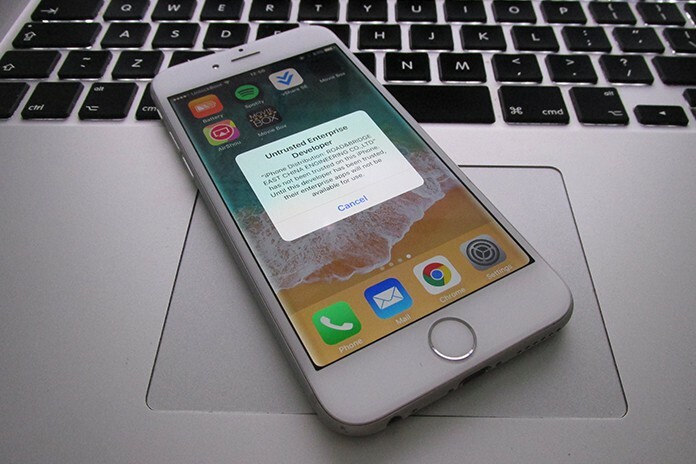 How to Fix Untrusted Enterprise Developer Glitch on iOS 10 or 11? The process of fixing this error message is easy to understand and simple. Just follow the process below and get rid of this untrusted enterprise developer error message. 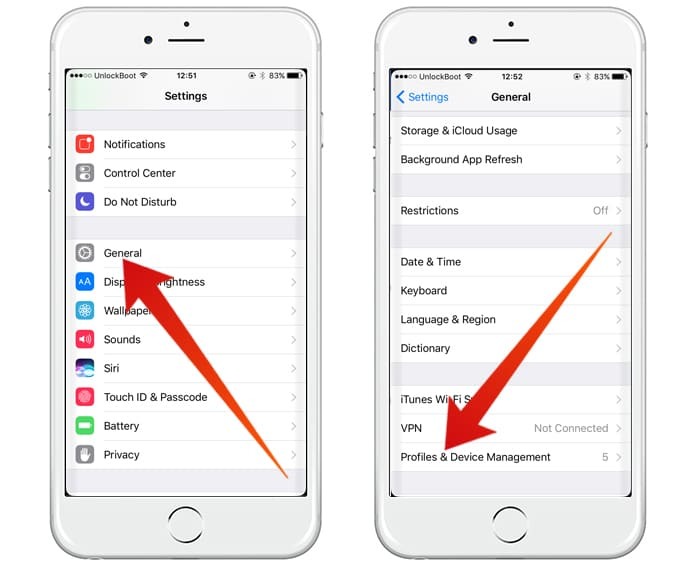 Step 1: First, open the Settings app on your iPhone and open the General option under it. Step 2: Now locate and click on Profiles & Device Management option. Step 3: You will see an option named Enterprise App here. Step 4: The apps that are installed from an unknown source are here. Step 5: Tap on the profile for that app and click on the Trust button. Step 6: Now your app is trusted and you can easily use it. After trusting it, you will get no longer the “untrusted enterprise developer” error message on your iPhone. The apps installed in your iPhone have certificates that are necessary for the proper use. If you are not getting the trust option under your app or game, your app’s certificate has expired. You can try another version of that app in this case. Additionally, if that app has some updates or new versions, try installing them and trusting that app again after installing. On the other hand, if you don’t have new versions or updates of that app, try re installing it.